Earlier, We already done explaining in great details on how to actually find long tail key words which one can use the build profitable niche sites that’ll pump in money on end. So today, I’d like to elongate more on that topic by showing you exactly the process I’d take if I were you use Alexa for niche site creation. Now, assuming I want to start. This part actually involves getting sites on the niche that you are trying to enter in other to get long tail key phrases on them through Alexa. This means that if you were planning to start a tech niche site, then finding tech sites will be your priority so that Alexa can show you long tail keywords on that niche. Where is the best place to look for sites on different niches? So let’s say I want to start a niche site on the “writing tips” niche. What I’ll do first is to find sites on “writing tips” through those directories. But for the sake of example, I’ll be using one site to show you how you can do yours effectively. Once I get a site, www.productivewriters.com which is in the writing tips niche, I’ll quickly head to www.alexa.com; enter the URL and hit search. I’ll go ahead to click on the URL. This will immediately take me to the main analytic page of productivewriters.com where the long tail keywords are situated. What you’re looking at are the top search key phrases sending the most traffic to productivewriters.com. These keywords are sometimes very profitable key phrases that are good to start-up niche sites with. So, now that I’ve gotten 5 not too popular long tail key phrases on the niche I want to enter. The next thing to check now is to ascertain which of the keywords are profitable and quite easy to rank for. 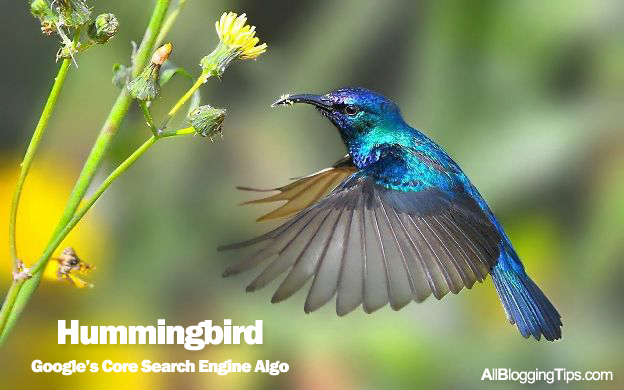 The beauty of a long tail keyword is the gift of not being too competitive or hard to rank for. 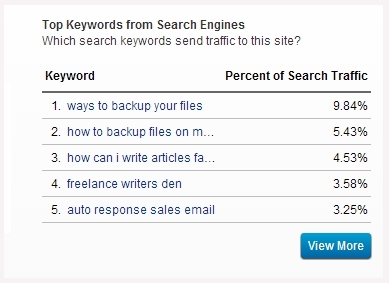 However, under normal circumstances I should normally do keyword analysis on each of the keywords above so that I can choose the best to use for a niche site. So in other to know whether this keyword is competitive, I’ll run it through Google first to know which sites are ranking for the top positions for the long tail keyword. Now that we know which sites are ranking for “how to backup my files on pc”, the next thing is to check why those posts on those sites are ranking top for the key phrase. However, since we know that Google uses some metric like backlinks pointing to a post and site authority to rank websites on SERPS, then it would be really clever to find out how many backlinks each post has. I’ll use www.opensiteexplorer.com and www.ahrefs.com to check the backlinks of the posts on those sites. So, to check the backlink each post has I will quickly open the first 4 posts in a new tab (I believe that the first 4 posts on SERPS are quite the most important posts to pay attention to if you want to outrank and gain the number 1 spot.). After opening them in new tabs, I’ll copy the first ranking post URL and paste it into Ahrefs and OpenSiteExplorer in other to check how many backlinks are pointing to the post URL. I’ll go ahead to apply the same action to the other remaining 3 posts URL too. 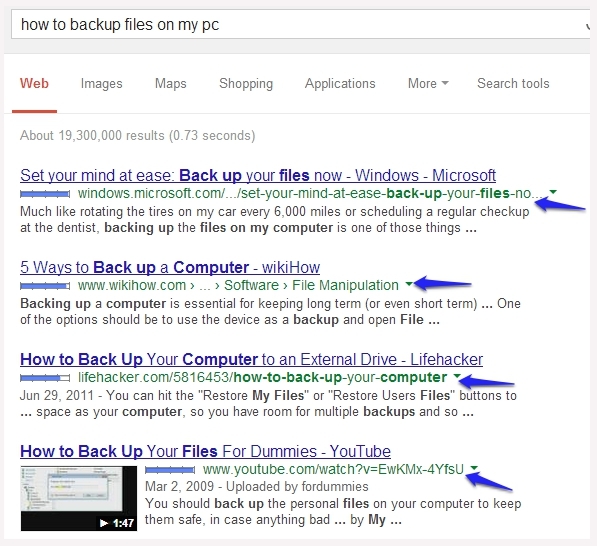 Well, what you’ve just looked at is the backlink profile of the 4 top posts ranking for the keyword “how to backup my files on pc” and the outstanding thing I noticed is that none of the posts has more than 400 backlinks pointing to it. So this basically means that these posts are ranking at the top of the search engine as a result of the authority of the sites that are hosting it. With this discovery, it basically mean that getting to rank at the top for that key phrase won’t be that hard as a result of the low backlink profile of each posts ranking for it on SERPS. With that said, I can go ahead to build a niche site on that keyword since if I could just get more high authority blogs linking to my niche site, then I will surely claim the top of the search engine for that term. 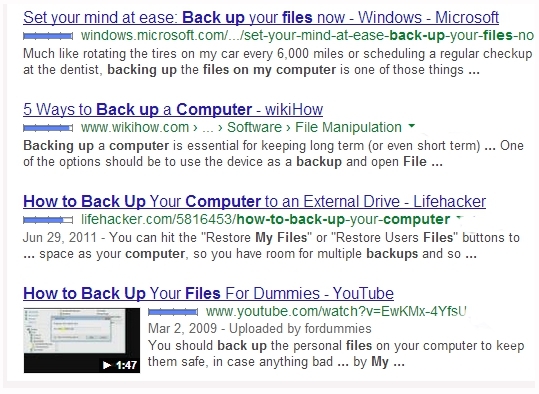 In other to build a niche site that’s profitable for that keyword, it would be wise to find an “Exact match domain” that has every key phrase in “how to backup my files on pc”; a domain like www.howtobackupmyfilesonpc.com is a good fit. But to know whether it’s available I’ll run the domain through Godaddy. And luckily, it’s available. So from this stand point, I can go ahead to build a site with that domain (if assuming I bought it). The next thing to engage in is to build backlink back to the site after I must have set the niche site up and added enough content on it. Likewise, once I keep on with this on a continually level, my niche site would get to the top of that search term in no time. And finally, once the niche site has gotten to the first page of Google for the search term, “how to backup my files on pc”, I may then decide to find affiliate products on backup softwares to promote on the site which will inevitably get me some very good affiliate income on the long run. So once you’ve been able to get on the first page of Google for your own key phrase, along with constant traffic, then you can decide to leverage any of the products these affiliate companies above have in the line of your key phrase and also earn some side bucks too from your niche site. Alexa, like I said before, shouldn’t be ignored as a long tail keyword finder. When you leverage it and find profitable keywords; make sure to do thorough keyword analysis on the long tail before you proceed to build a niche around that key phrase. Remember, do your keyword analysis thoroughly in other not to enter the wrong niche. Let’s discuss this below at the comment. 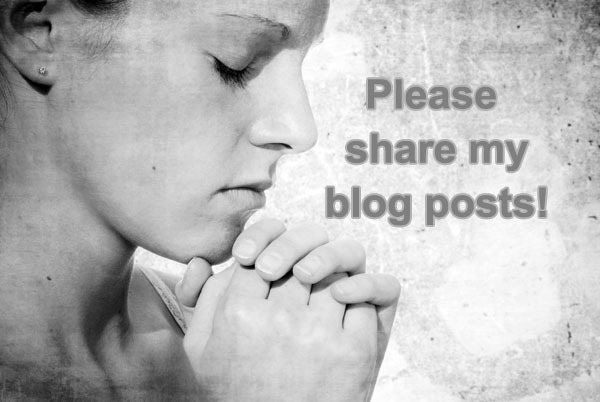 Don’t forget to share. Bad backlinks and the impact they will have on SEO has become a concerning factor among different webmasters and site owners. With the introduction of the Penguin update which was set to penalize low value backlinks, the situation will worsen with the upcoming Penguin 2.0. Site owners may be justified for crying foul as they often don’t have control over links from external websites. A competitor could deliberately point thousands of spam links to your site to encourage penalties on your side, a practice known as bad SEO. Even sites that are not targeted by such spam links may still be penalized for past link building practices as long as they don’t confirm to Google’s Webmaster Guidelines, and if they fail to have such links removed. Fortunately there is a way in which webmaster can resolve the matter, and that’s by using Google’s Disavow Link tool. Basically the Disavow link tool lets site owners submit files through the Google Webmaster Tool listing those links that should be valued and those to be devalued. Say you have 5 good links pointing back and one bad one. With Disavow link tool you can let Google know of the 5 links you would like considered when your site’s links are valued. This has actually come as a great solution to webmasters and site owners struggling to remove low value backlinks, and with Google’s Penguin 2.0 set to roll into motion it will be gravely important for site owners to remove poor quality links. However there are some things to bear in mind when using this feature. Note that if you submit links incorrectly and choose to remove non malicious links your site could drop in search engine rankings. For example, if you choose eliminating links by domain name instead of by individual backlinks you risk removing links from good sites which may have actually contributed to your site being where it is. With the potential of harming your search engine rankings, site owners should only use Disavow links once sure that they’ve fallen prey to negative SEO, or in the event that certain backlink issues are not resolved with other site owners. Note that the process of separating negative backlinks from beneficial ones can be a hectic process and one that will devour your time and effort. Sites such as Majestic SEO charge $49.99 to retrieve your entire link profile. From then it will be up to you to determine which links are worth removing and which are not. Bear in mind that certain malicious looking links may actually be rated by search engines, and it will depend on how they are placed on the referring site. Google hasn’t really given a solid explanation on how it uses data obtained from the Disavow Link Tool. Although it may remove reported links from your site’s profile, it also reserves the right to thoroughly and independently review your submission and decide on which links to value or dis-value. Given that the links submitted may come useful as supporting evidence in the event that you want your business reconsidered by Google after penalization in search rankings. With the potential harm associated with using the tool incorrectly it will best to use the services of a qualified SEO professional instead of attempting to troubleshoot and repair damage from SEO attacks on your own. If you want to know more about using Google Disavow tool in details read this. Did I missed any point? Are you using this Google Disavow tool? Does it really work? Google Webmaster Tools is an online tool used by millions of bloggers for checking most of the statistics about their Website/Blog. It allows us to check almost all the stats to related to the site performance in the Google Search results . Webmaster Tools is used by many bloggers and webmasters, but most of them do not know what is Webmaster Tools and what are the capabilities of Google Webmaster Tools . This article will guide you through all the objectives that can be done through this online tool provided for free by our favorite search engine, Google . This online tool does not show the traffic stats of a blog, instead it shows the amount of clicks on a certain link of your blog in the search engine . The traffic and other related stats are shown in the Google Analytics which is also another free service provided by Google . It is a must for every blogger to use this service as it helps us to improve our site and its performance in the search engines. There is no other way to submit a sitemap to Google . Submitting the sitemap is an important factor in building up the search ranking of your blog. Sitemap is a list of all your posts . It is indeed very essential as it can help the search engines to index our blog and all its link easily . Else , the search engine crawler can miss some of the posts of your blog . To get a higher ranking and traffic , it is better to add a sitemap through Webmaster Tools rather than doing some other long SEO processes. Sitemap Submission is an easy way to get a lot of optimization through a short process . This section of the Webmaster Tools provide us with the search terms which are performing well for our blog . It shows a list of queries which are bringing us the highest organic traffic . In my case, my highest performing keyword is still ‘QADABRA REVIEW’ . It has a good search result position between 1 and 4 . I only came to know of such a great thing I did after a long time when i started using Google Webmaster Tools . After , i came to know of this keyword ranking high in the search engines , i optimized that post again and again till it got the first position . Now , it is changing at times . This is the most useful tool in the Webmaster Tools . Sometimes , we might miss some 404 error pages which do not exists . So, people who come to this post will most probably press the back button of the browser . So , you are losing a lot of targeted visitors through this error . Google Webmaster Tools shows us all the pages and posts that are showing the 404 error . So , it becomes easy for us to correct it and redirect that page if it does not exist . So again , this wonderful tool helps us regain our targeted visitors who were going to leave our blog . 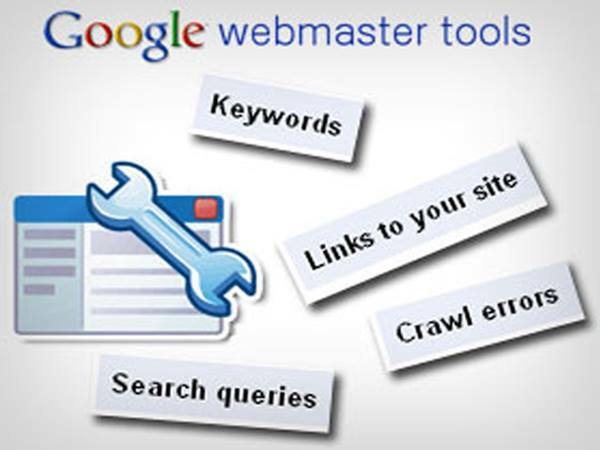 Google Webmaster Tools also helps you find out the number of backlinks that your blog has obtained . All those links out there on the internet pointing towards your website/blog will be listed here with all the details . Backlinks are necessary for a blog to become a popular one . 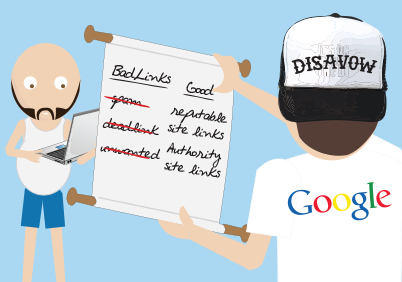 Guest Blogging , Commenting , etc are some good ways to get a good number of backlinks . Malware is virus or some infectious things that can ruin your blog as well as others who visit your blog . Malware should be removed instantly as it is spotted . But , to spot it , you will have to Use Google Webmaster Tools or some other Malware checker available over the net . A Malware affected Blog can become a blog with zero visitors within one night . So , it is important to check if your blog is containing any malware scripts in the widgets or any other places that can be easily crawled by search engines . Structured Data is a way of making search engines know about the way your blog is and how all the pags and posts are categorized . You might have spotted in the search results that some of the search results have a different type of appearance thus increasing the attention that result receives . Again , Webmaster Tools is essential to form a structured data markup for your blog/website. Structured Data Markup can be optimized through the Data Highlighter . If your website do not have a Structured Data, then you can form one using the Data highlighter. Google Webmaster Tools also has a feature which shows all the errors in your HTML Website or Blogger Template . We all should try to improve our website as much as we can . So , using Webmaster Tools also helps you to improve the HTML of your website thus improving the whole website . Sometimes , even a small mistake that escapes from your eyes will feature in this section of this free online service provided by Google . Google Authorship is a feature of Google which shows the photo of the author of specific articles in the search results along with the links . This increases the attention of the people who are searching . Moreover, your photo will become famous . 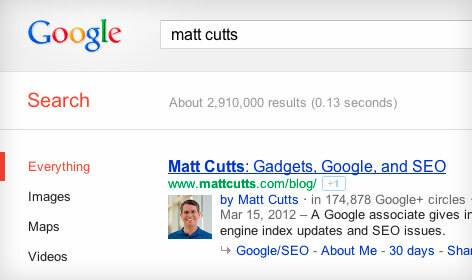 Google Authorship can be obtained only through linking your Google+ Profile to your webpage and vice-versa using a tag . In case, if Google Authorship is not working , you can visit the Structured Data Testing Tool option in the Additional Tools of Google Webmaster Tools . Here , You can check if authorship is working for any webpages on the internet . Indeed, This is another great feature of Google Webmaster Tools . And don’t forget that showing your photo in the search results can gradually increase website traffic ! These were some important features of Webmaster Tools . Well , there are a lot many more that can be used to make a blog a superhit blog by optimizing it for the search engines as well as the readers . Happy Blogging!